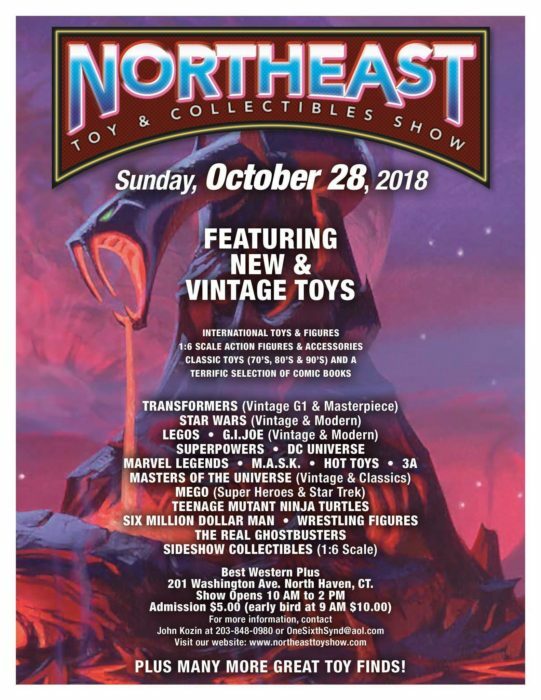 On October 28th I ventured to the Best Western in North Haven, CT to search for collectibles at the Northeast Toy and Collectibles Show. 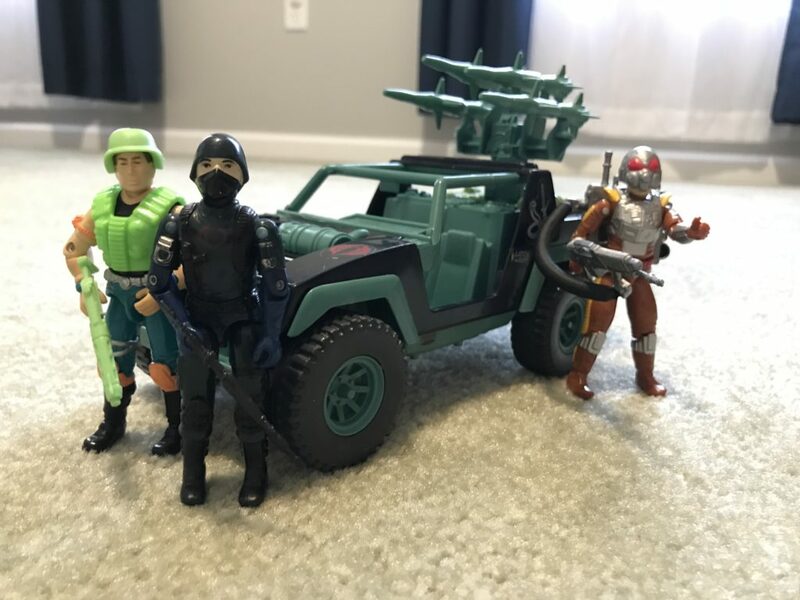 While I primarily collect Hasbro’s G.I. 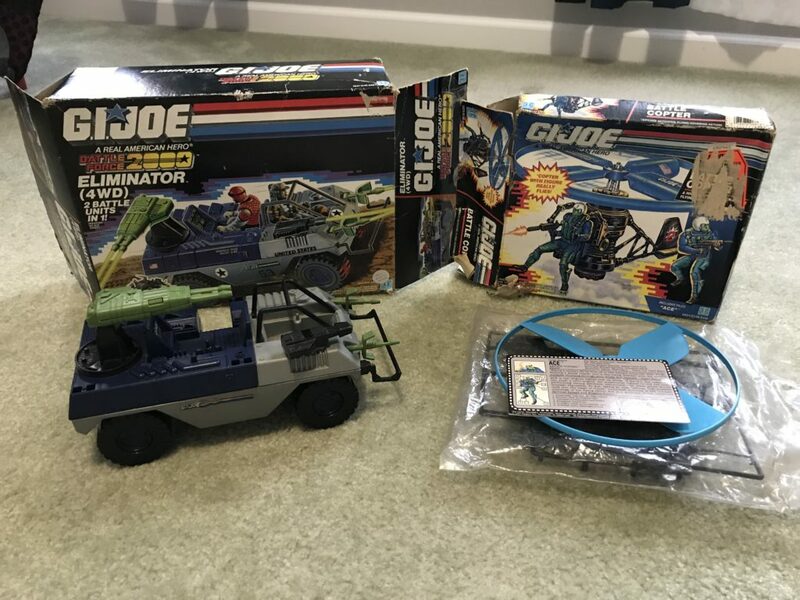 Joe, I also look for select Transformers, M.A.S.K., and other properties that I had a connection to in my youth. It’s also a good excuse to get out of the house for a few hours on a Sunday. This time marked an expanded venue with even more vendors, and larger attendance. Here are my pick ups from the show! 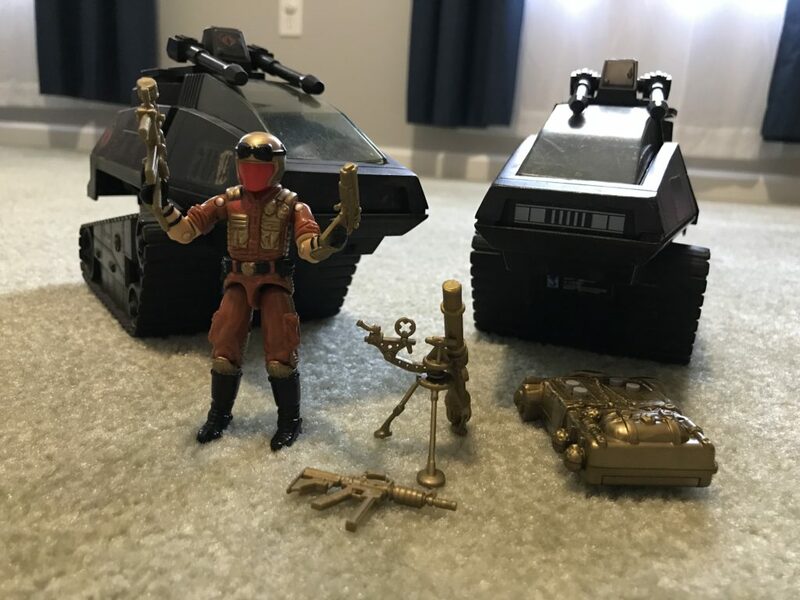 Well, right after paying my $5 and walking in, I came across these two “beauties.” A mostly complete Battleforece 2000 Eliminator and a Battle Copter missing figure, pull cord, and stickers. The Eliminator is a gift for my son, and the Battle Copter is a great toy to play with. I can pick up what I need to complete for next to nothing. The fact that I picked both up extra cheap was a great sign for the rest of the show. 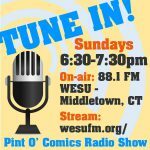 Next up is… comic books?? Yup, it is a collectibles show and there were several people there selling comics. I’ve got a Frank Miller Daredevil run I’ve been piecing together and the first issue which is key I hadn’t come across yet. The original “West Coast Avengers” miniseries was because of the Rom cameo on the cover. 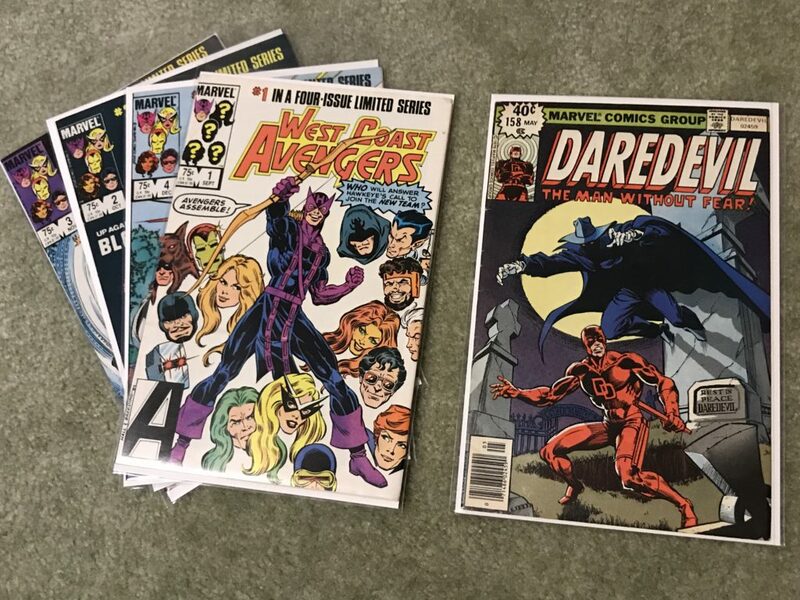 The Avengers run was cheap which made the few bucks I spent on Daredevil worth it. The next vendor I stopped at was a guy I’ve been dealing with at the local flea market for a few months. 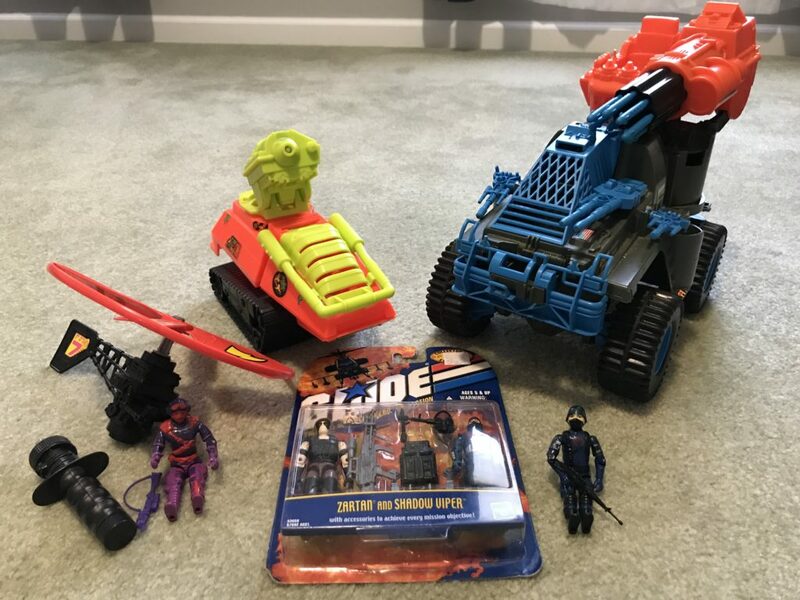 Everything here was on the affordable side, except the Cobra trooper. My motto is always to get a “bundle” deal to make that special item a better find. I’m always looking for extra faceless members of my ever growing Cobra Army. Another Battle Copter to play with, the Septic Tank was one of the last vehicles I bought as a kid, and I have always wanted a Battle Wagon, a battery operated truck with firing Gatling gun. After a quick trip to the car, I walked back in and asked about these droopy cannon HISS tanks and the Sonic Fighters Viper. Again, everything was bargain priced. So HISS #10 and #11 are now part of my collection, and next is to explore ways to fix the droopy cannons (as most of mine experience this dysfunction) to get another fix it article for you fair readers. So on a final breeze through of the show I spy this rare Dreadnok Ground Assault Stinger. At this point I was still under budget, so I asked. The guy came in high, but he was willing to deal if I got some more stuff from him. I added (from left to right) Rapid Fire, another Cobra Trooper, and Charbroil. Should I get Rapid Fire’s VHS cassette to consider him complete? The Stinger is missing a few parts, and expect to see more of it in the near future. All in all, it was really fun. 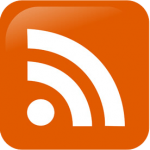 The show happens three to four times a year and updated schedules and more can be found by searching for it on Facebook.